Over the past few years, the Indian smartphone market has grown at a breakneck speed. But, Q1 of 2015 has seen a slight dip in numbers. The mobile market as a whole has seen a drop of about 3%. However, this is not because of a lull in India's smartphone revolution, but because, the sales of the now obsolete feature phones has dropped by nearly 16%. After a lackluster 2014, Samsung seems to have asserted their dominance in the Indian smartphone market once again with their flagship device the "Samsung Galaxy S6" and the "Samsung Galaxy S6 Edge". Another interesting fact highlighted in the report was that while Microsoft was third in terms of Smartphone shipments it wasn't even in the top 5 in terms of Smartphone sales. On the other hand while Intex was 4th in terms of shipments it was third in terms of sales. With the current government giving a push to the "Make in India" concept, all major smartphone manufacturers are looking at setting up facilities in India. Posted by Unknown | Friday, April 17, 2015 | Android | TECH NEWS | Be first to comment! Xiaomi current flagship in India, the Mi4 has got a price drop. The Mi 4 16GB costs Rs. 17,999 while the 64GB is priced at Rs 21,999. The Mi 4 sports a 5 inch display with the resolution of 1920x1080 which gives a good pixel density of 441 PPI. It runs on a 2.5GHz Snapdragon 801 processor and is packed with 3GB RAM. The rear camera has a 13 Megapixel sensor while a 5 Megapixel sensor sits on its front. The phones has a powerful 3080 mAh battery. Even though the phone is shipped with Android 4.4 (KitKat), Xiaomi MiUi provides a lot of tweaks so the user may not miss out on much. We suspect that this move has come in due to intense competition from other brands.The main competitor of the Mi 4 is the One Plus One which has similar specifications and cost as much as the Mi 4. Also, Lenovo in particular is taking heavily on Xiaomi by launching phones in most price ranges that Xiaomi enjoyed monopoly. Rumors also suggest that Xiaomi is releasing a toned down version of the Mi4 which will run on a Snapdragon 615 chip. This phone is mostly to target the YU Yureka which is the only device at Rs. 8999 that runs on the Snapdragon 615 chipset. Another move that Xiaomi has made is to opt out of the flash sales systems. Their products are now available easily on various e-commerce sites and are no longer a Flipkart exclusive. So is the Mi4 worth this price? Definitely. Also the problem with its closest competitor, the One is that it’s sold through an invite system and getting your hands on one might be tough. So the Mi 4 is a better option due to availability. Posted by Unknown | Tuesday, March 03, 2015 | Android | tech | TECH NEWS | Be first to comment! Lenovo has lately been in news for a mixed bag of reasons. That includes a much reprimanded Superfish debacle and a shock coming as reverberations to it with Lenovo website getting hacked. But ahead of all the turbulence, Lenovo has launched Lenovo A7000 and Lenovo Vibe Shot smartphones at the ongoing Mobile World Congress. With beautiful design and impressive features, these devices are set to grab attention in worldwide market. Lenovo Vibe Shot is priced at $349 (about INR 21,500) and will be available by June. Lenovo A7000 variant would start at $169 (about INR 10,500) and will hit the markets by March. Lenovo Vibe Shot beats camera at heart. And the design too looks like one from the rear end. The buttons for camera control are placed at the right side of the device, giving a feel of point-and-click conventional camera. Rear camera is of 16MP type which is equipped with six piece modular lens. Rear camera is also coupled with a tri-colour LED flash. For getting a faster focus, the camera boasts a infrared focus feature. Camera unit has sensors to provide low-backlight illumination image rendering and optical image stabilization. There are options provided for pro and preset settings for the camera. The front camera unit is of 8MP. The secondary camera unit is of fixed focus type. On the smartphone front, Vibe Shot holds a 5-inch full-HD (1080*1920 pixels) display. It holds a octa-core Qualcomm Snapdragon 615 SoC which is coupled with 3GB of RAM space. Adreno 405 GPU will handle all the graphics related processes. Four of these cores run at 1.7GHz and the rest four at 1.0GHz. Inbuilt memory capacity is of 32GB and storage capacity can be expanded up to 128GB with the conventional microSD cards. Vibe Shot runs on Android Lollipop 5.0. Connectivity features comprise of the latest standards of WiFi and Bluetooth, LTE support will other basic necessities. This device is a dual-SIM type. It boasts battery unit of 2900mAh. With all these features, Vibe Shot is designed to target the high-end market and specially for the shutterbugs. On the other hand, Lenovo A7000 is designed to impress the mid-range customers. It comes as a successor of A6000 and like the same this too is a dual-SIM device. This device holds a 5.5-inch 720p HD display unit. Under the hood, it holds a 64-bit MediaTek MT6752M processor which clocks as 1.5GHz. The SoC is coupled with 2GB RAM. Internal storage unit is of 8GB and the memory can be further extended to 32GB. Primary camera unit for Lenovo A7000 is of 8MP and the secondary snapper is of 5MP. This would certainly cheer up the selfie lovers. Lenovo claims it to be the first smartphone having a Dolby Atmos surround sound feature, although it is said to have only one speaker outlet. Like Vibe Shot, A7000 too supports LTE and other connectivity features are listed as WiFi, Bluetooth, GPS and micro-USB slot. Also A7000 is powered by a 2900mAh battery unit. It runs on Android Lollipop 5.0 with Vibe UI over the top. Overall with A7000, Lenovo has made its move to increase its presence in the mid-range devices. And weighing all the features with the price tag, it can be predicted to be a hit. Along with all these Lenovo smartphones, they also launched another gadget at its MWC presentation. It is the Lenovo Pocket Projector. For this device, Lenovo claims it to be the first standalone projector which is compatible with and Miracast or DLNA-enabled smartphone be it Android, Windows or iOS operating system based. It can project up to 110-inches of screen and has dual speakers inbuilt. It claims to have 2.5 hours of battery life and supports 32GB of memory unit via microSD card. Ronak is an Electronics and Telecommunication Engineer and has worked on Embedded Systems and Robotics. He likes to keep himself updated with the latest technology loves to travel in his free time. Posted by Unknown | Thursday, February 26, 2015 | Intel | Processor | tech | TECH NEWS | Be first to comment! The industry hasn’t yet had enough of the 20nm Snapdragon 810 and there are already talks of processors getting the 14nm treatment. But for now this process is concentrated for developing the SOC’s for the laptops and desktop devices. Yet, such advancements are creating a lot of interest all around. Intel is planning to bring presentations on several internal advancements and plans at this years International Solid-State Circuits Conference(ISSCC). These presentations would circle around the theme of ‘Silicon Systems - Small Chips For Big Data’. The topics to be covered are 14nm chip features, developments in the previous 22nm processes and future plans to achieve the 10nm and even 7nm milestone. One of those intriguing features imparted for 14nm is its data transfer capabilities. Intel will be displaying a 14nm CMOS transmitter capable of 40Gb/s with methods including Non-Return Zero (NRZ) and Pulse Amplitude Modulation (PAM) having 4 levels. Intel is also set to showcase a complete serial link in 14nm Tri-Gate CMOS, which is the first of its kind. It has also developed a semiconductor which consumes 59mW power within an area of 0.065mm^2 for providing 10Gb/s link. And the most exciting feature concerning the 14nm developments is on the memory front. Intel gives out a 0.6V operated 84Mb SRAM design running at 1.5GHz. It uses the smallest SRAM bitcell of 0.05um^2. Intel has delayed its 14nm Broadwell chips for few months claiming it to be a manufacturing and testing issue. To this issue, M. Bohr, Intel executive said that Intel underestimated the learning rate as this 14nm technology has brought many masks which requires lots of experiments in fabrication. Intel will address this issue in detail in the upcoming ISSCC. One of the chip for 22nm process is integrated with an adaptive and resilient domino register file. This chip is capable of adapting to timing synchronizations as well as detecting errors for recovery. This will consider the external parameters like die variation, voltage droop, temperature and aging. Imparting these features has enabled it to perform 21 percent faster and 67% more power efficient. Another chip on 22nm process, showcases the 22nm graphics execution core enabled with autonomous dynamic voltage and frequency scaling (DVFS). This has used a LDO (Low Dropout Regulator) and a Switched Capacitor Voltage Regulator (SCVR) which will cover the low voltage and high voltage regulation enabling the chip to manage the voltage drop resulting in savings in power consumption. To explain in simpler terms, dynamic voltage scaling is a power management technique in computer architecture, where the voltage provided to a component is stepped up or down depending on circumstances viz to save power or to increase the computer performance. Intel is confident about the schedule for its 10nm based chips. It has claimed that the pilot for 10nm process manufacturing line is running 50 percent faster than that of 14nm chips. These 10nm chips are speculated to be available for the consumers by 2017. On switching from 10nm to a challenging yet intriguing 7nm process, experts speculate that the processes have to be switched to other materials of III-V semiconductors like Indium-Gallium-Arsenide (InGaAs) rather than Silicon. Intel is yet to comment on the same. Along with these basic challenges, Intel is also set to address the issues on integration methodology related to 2.5D having separated dies on same baseboard and 3D which has a stacked die concept. For now the chips manufactured using these processes would only relate to SOCs on laptops and desktops. But all these process advancements can be said to have positive effects on the smartphone and wearable devices industry. 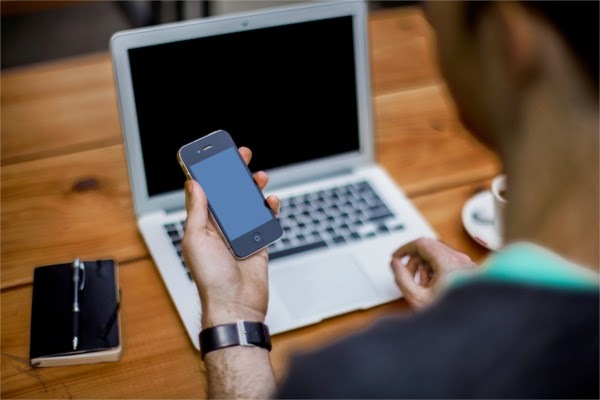 Sooner or later when such processes are used for mobile devices, users will have gadgets which will be more power efficient and yet running high on performance parameters like never before. Posted by Unknown | Wednesday, February 25, 2015 | internet | Social Network | Be first to comment! Every other day, I see a new ad on TV about a new messaging app. From WeChat to Line to Hike, all these apps have tried different strategies like free recharges to cute stickers in an attempt to entice customers to download their app. Instant Messengers (IM’s) have been in the limelight after FaceBook’s acquisition of WhatsApp for a whopping 19 billion dollars, showing that there is big money out there for these. The same goes for Social Networking Sites (SNS), as many new ones keep coming up, with Ello being the latest. Do you need to be on all of them? No, but there are few that you just cannot afford to not be on, even if you are more of a calling or text person. Read on to know which. This one is a no brainer. I know a lot of people who diss WhatsApp because of its groups but still end up using it as the primary mode of communication. Although the groups can get annoying, but come to think of it, that would happen on any other social network which all your friends are on. I remember an old joke where someone wrote that he loves Google Plus because it is so peaceful as no one he knows was active on it. Jokes aside, WhatsApp is a must-have because it directly syncs with your phonebook rather than asking you to make an account. Because of this ease, everybody you know are on it. Second — it’s reliable. Instead of bombarding the user with too many features, WhatsApp built such a level of dependability, that there are probably as many or even more WhatsApp messages sent in the world than SMSs. It also works on slow 2G networks, which is remarkable considering almost every other app today is almost non-functional with the lack of high-speed internet. WhatsApp works on most number of mobile platforms, including a lot of feature phones too. It is also a very popular medium to reach out to business contacts and several SMBs use them extensively for business purpose! However annoying those memes and cat pics may get, Facebook remains to be one of the best social networks to stay connected with your family and friends. The best benefit is that almost every person you know will be on it. Friend suggestions helps you meet those whom you may have forgotten to add. Like, my mother has connected with her old neighbours and school friends on Facebook after probably thirty odd years. What also works for Facebook is that it has so many features. You can update statuses, tell the world of your activities with photos and videos, check in to places, invite people for events and what not. Facebook has separated their chat service on the mobile by making users download the Messenger app. It’s a pretty good app to have — among other things because when you’re replying to messages on the desktop, notifications won't buzz on your phone. And while that’s not ideal, you do know that a lot of professional contacts would be closer to you on Facebook, rather than LinkedIN. Facebook eventually would try to replace some of the other communication channels and may be they will have better ideas to deal with group chats or try to make inroads into the workplace, you would do better by waiting till they gain traction. Even today most people associate video calling with Skype. You generally hear people say “Let’s Skype”, never “Let’s OoVoo” or something like that. The good part is that Skype also has mobile apps which makes it easier to use on the go. Skype also has the facility to have a conference call with many people and even share screens (that can come in handy while providing tech support). This is great when you want to connect with a group of friends over video. Certain companies even conduct meetings/interviews on Skype. At my home, Viber is the only app that is used to make calls to people overseas. It has become synonymous with internet calling because it brought the simplicity of WhatsApp in the VOIP space. Like WhatsApp, there is no need to create an account or sign in; just install the app and call other Viber users that are in your phonebook. This is why even though you can make audio-only calls with Skype, people tend to use Viber. Viber is also an Instant Messenger as you can also send text, photos, videos, stickers etc. But with WhatsApp planning to bring voice calling next year, Viber’s trump card feature may be marginalised. Hangouts used to be known as Google Talk earlier and was extremely popular. People slowly moved from MSN & Yahoo Messenger to Gtalk, as it brought a simple, no-frills app that help people communicate without the use of animated emoticons and avatars etc. As Google integrated Hangouts in Gmail itself, it makes total sense to use it. Nine out of 10 people I know use Gmail as the primary mail, so the moment they log into their Gmail, they’re logged into Hangouts. Hangouts has an app on both Android and iOS. Just like Facebook, conversations get synced and different devices will not send out repetitive notifications (with their alert dings) too. There are tonnes of communication & messaging apps out there and most of them can be joined for free. But you can’t possibly be active on *all of them*. A PriceBaba survey suggests that about 70% respondents said that they are accommodating to other peoples’ mode of communication. In my opinion, the above five platforms should keep you connected to almost all the people you know. Criselle Lobo is a technology enthusiast based out of Mumbai. Posted by Unknown | Sunday, February 01, 2015 | Android | how-to-guide | tech | Be first to comment! The latest version of Android i.e v5.0 Lollipop is full of new features and bugs. While Google is fixing the buggy part we thought of explaining the features to the masses. Lollipop is full of tiny little updates all over with a few new features that really stand out. After covering the priority notifications feature a few days back we thought of explaining the power saver mode on Android Lollipop. One of the major issue with Android phones is the mediocre battery life. While a lot of people complain about it, the only fix that really worked was buying a phone with a bigger battery. This solution didn’t work for everyone though, phones with bigger batteries were heavy, bulky and had uninspiring design. Some of them had average specifications, keeping people away from buying such phones. The ones that did really everything well — like the Samsung Note series — had a hefty price tag. One of the methods to save the battery on the Android Phone is to tweak the software on it. On Android Lollipop they have done it with the implementation of Project Volta, which will only show improvement once app developers start implementing it.. But something that works very well even now is the inbuilt Power Saver mode in Lollipop. The main purpose of the Power Saver mode is to save the battery when it is really required. The mode is automated and can activate from 2 points — When the battery reaches 15% and when it reaches 5%. Users can choose the from these two based on their preference. Along with the automated setting, the mode can also be activated manually at any given point of time by going to Settings>Battery> Clicking Icon on the Top Right corner and switching it on. This should be done when you are away from a charger for a really long time to save the battery from draining out. How Does Power Saver Work? You might be curious as to how a minor software tweak can help the battery last longer. The answer lies in the way the mode works, when it is activated it switches off one or more cores of the processor, switches off animations and reduces background data. While this does affect the overall performance of the device, it manages to save the battery in the process. The data connection is still active for you to use but apps cannot access the internet unless you are using it. This reduces the data transfer between the apps and the internet, reducing the load on the already starving processor. My first doubt was if it would work as promised, so I switched it on with around noon with 94% battery still left on my Nexus 5. The system notifies that the power saver mode is on and changes the colour of the Status Bar and the Lower System buttons to Orange. There was a noticeable lag in the performance of the device, it took longer to open apps and games. Networking apps like WhatsApp and Facebook stopped showing notifications; in fact they only refreshed when the app was launched. The main reason for the power saver mode is to get you through your day when you cannot charge your phone, which it manages to do well. We have seen Sony use something similar to extend the battery life on their smart phones where it completely disconnects the data 15 minutes after the screen switches off. I switched it on my Nexus 5 with the battery at 94% and the phone was at 77% after 7 hours of use. Generally my phone would have dropped down to 30-40% but it seems Power Saver was doing the job rather well. With the mode being a part of Android Lollipop we can expect it on upcoming smartphones soon. But if you ask if it works when its required the most the answer is a big YES! Posted by Unknown | Thursday, January 29, 2015 | Gadgets | TECH NEWS | Be first to comment! Organic electronic building blocks are being researched upon extensively as they hold a lot of potential when it comes to building devices as they require less energy and will be cost effective. But the most promising feature concerning developments using the organic FETs(Field Effect Transistor) is the mechanical compatibility, meaning development of devices with flexible nature. Progress in this field has already given out a new paradigm, “Plastic Electronics”, which directly counters the existing “Silicon electronics”. A recent review published in Science and Technology Of Advanced Materials reports optical functionalities being integrated in the conventional transistors. Researchers also claimed that these improvements should soon be expected in manufacturing of transistors which can be used to develop paper-thin and flexible screens. After its introduction back in 2003, there has been a lot of improvements in developing the organic field effect transistors(OFET). OFETs were first developed to give out low cost large size display screens. But the latest reviews suggest improvements in light emitting organic field effect transistors (LE-OFET). LE-OFET combine functionalities of both, the OLEDs and the OFETs. These photoactive organic field effect transistors are said to possess the properties of amplifying weak signals and of receiving light too. Field effect carrier mobility of LE-OFETs has reached 20 cm^2/Vs which makes them good enough to be used in practical applications. The review article also suggests that light emission efficiency and brightness of these transistors will soon improve. The next versions of the LE-OFETs are supposed to be compatible with the already existing electronic setups. LE-OFETs are also being used to develop transparent and flexible computer screens. With this said one can also think of their extensive use in smartphones too. These display units are said to offer faster response time and better energy efficiency. Above all these features, such display units inculcating LE-OFETs won’t require any backlight. This being said it is implied that the power consumption is bound to go down. They are also assumed to enable the development of optical communications and optoelectronic systems, since the switching rates of these transistors is quite good. Japanese researchers also said that there are some issues in these components and a collaborative effort by organic chemists and device physicists is required to resolve these stumbling blocks. These developments would definitely open new frontiers for both electronic and photonic worlds with properties like flexibility, light weight, optical memory storage or high-density data storage. While it is speculated that such devices with all-plastic components and flexible nature will still take a decade to become ready for the users, you can only hope for its speedy development. Download a free template from any website or buy a premium one. All of the Blogger templates already have microdata added to them. In simplest term, microdata is way to highlight some data from the whole to the search engines. So, these are the minor details that can be highlighted. How to add Microdata BlogPosting? Go to Template, then Edit HTML. Use Ctrl + F, to search for <data:post.body/>. You will only find one occurrence of the above code. Just below <data:post.body/>, add </span></div>. To check, go to Google Structured Data Testing tool. Put any of your article's URL and hit Preview button. Posted by Unknown | Monday, September 01, 2014 | Entertainment | youtube | Be first to comment! People waste a lot of time on YouTube. Watching hours of YouTube video. The people who don't are always wondering what do they actually do to kill hours. Watching random videos. All India Backchod (AIB) -All India Bakchod (a.k.a. AIB) is India's edgiest comedy collective. Co founded by comedians Gursimran Khamba and Tanmay Bhat, along with Rohan Joshi and Ashish Shakya, AIB believes in edgy, politically incorrect and several other other adjectives describing their humour. The 3 boys regularly perform stand up shows at auditoriums around the country. This is their YouTube channel where you can expect podcast episodes, sketches, live streaming of their comedy shows along with other sundry funnies. Recently AIB team came up with there sequel channel, AIB Doosra. Bollywoodgandu - A channel by Akshay Kumar's chest hair waxer. He usually works with Schitz En Giggle, which comprises of Varun Thakur, Karan Talwar, Aadar Malik, Brij Bhakta and Neville Shah. TheViralFeverVideos - Founded by Arunabhav kumar, is a new age Media Brand, driven by the spirit of "Lights...Camera...Experiment !" with businesses in Branded Content, Live Events, TV Shows, Production Services & Youth Entertainment. All the episodes are created especially for the young audience, across genres like Humor/ Drama/ Trends etc. on its channels "TVF-Qtiyapa" & "TVF-RecycleBin". BeingIndian - The channel highlights quirks of people in India. Most of the videos revolves around talking to general public and taking their opinions and checking their awareness on different events happening around. The Satya Show - This channel aims at bringing the truth into light. The videos focuses on Bollywood, politicians, IPL, etc. Videos are coupled with actual footage caught in the action. ManiaKi Duniya - The channel consists of short animated cartoon movies. The channel has two series named, Bollywood Classroom and Mehta Kuch Nahi Kehta. Bollywood Classroom is about giving entirely new meaning to original bollywood songs. Mehta Kuch Nahi Kehta deals with a poor guy named Mehta who has a blabbering, short-tempered, psycho girlfriend. See it to relive your memories. Shudh Desi Endings - This channels aims at bringing back old style bollywood movie endings to new movies. Shudh Desi Endings is full of animated series of new Bollywood movies. MeenFriedChickenCurry - Are you interested in documentary videos. This is a new channel with fun as well as interesting videos, presented in documentary format. The channel currently have few videos only, support the channel to get more. TroubleSeekerTeam - Do you love pranks? If yes, then this channel is for you. See some college students, doing pranks and they are really seeking some trouble out there. Awkwardness Unlimited - Pranks never gets old. This channel is dedicated to putting people on the spot and creating awkward moments in public. Here, you will find unlimited supply of awkwardness, public pranks, social experiments, public trolling, Pickup Lines, etc. So, now you know. And you are ready to kill some time and have a smile. Share with friends. If, you have another channel you like to share, please comment below. Posted by Unknown | Sunday, August 24, 2014 | Blogger | Blogging | how-to-guide | SEO | Be first to comment! A fast loading website is a good website. In terms of both SEO and user experience. Google PR algorithm take into consideration time spent in downloading a page. Also, the bounce rate, that is, how many users left your blog as soon as they visited, without navigating to another article on your blog. When, page takes time to load user leave your page. Increasing bounce rate. After minifying JS it almost becomes unreadable. Still you don't have to worry about it, because you don't need to read them at all. So, now you know where your JS codes are. Cut all the codes in-between //<! [CDATA[ and //]]>. Use any online JS minifier to generate minified code. Copy minified code and paste it from where you took those codes (in-between //<! [CDATA[ and //]]>). There could be jQuery, that won't minify using the above tools. So, leave them for now. A lot of modern templates have JS minified already. How to know if it is jQuery? Also, some special characters are converted into equivalent HTML entities, like " sign will be converted into &quot; that's why the online minify tool will show an error. Similarly, CSS you can aslo minify CSS. There are a number of online tools available. CSS is placed in <style> and </style> tags. But remember when doing so, don't kill the sequence in which they appear. Normally, I won't do that or else it will become very hard to tweak CSS. Other way round, is to copy your CSS into any file. If, you are not planning to tweak any style codes then feel free to minify CSS. 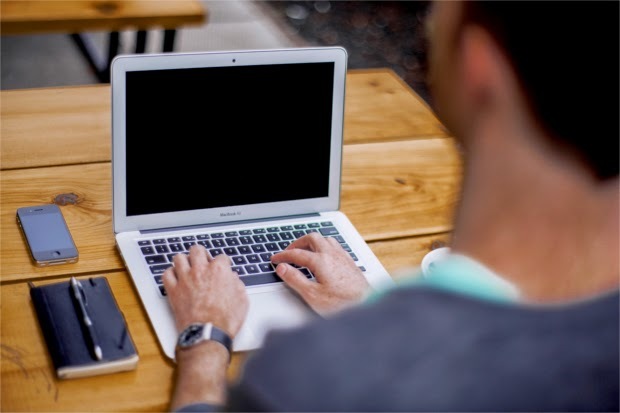 Having low size images would help your blog load faster. But reducing the size of images all way down will kill the quality of the image. So, first crop the image and then work on quality reduction. Sometimes, the crop will reduce enough size. One simple way out is by keeping only required part of the image. See how I reduced image of width 981px to 622px. So, reduce image size without loosing quality. How to know time spent during downloading a page? Google Webmaster tools lets you see the time spent downloading a page. Because you are on Blogger platform, so you will get the webmaster data without even verifying you blog. Posted by Unknown | Wednesday, August 20, 2014 | Blogger | Blogging | SEO | WordPress | Be first to comment! When it comes to blogging, people get confused about whether to use Blogger or WordPress. Then they go to biased reviews. Some favour Blogger other favour WordPress. Next, when bloggers learn or start learning about SEO they again get stuck whether to take WordPress or blogger. WordPress maybe great in terms of SEO, but that doesn't mean SEO cannot be achieved by Blogger. I use Blogger, and implementing SEO could make things go better. The only problem is that you have to jump into some coding. This is a list of all the article that I have done previously and now you can utilize all of them to be better blogger since day one. Custom 404 Page - Sometimes you have to remove some article causing users to land on not found error. You can create a custom 404 page with list of your top articles or search bar so that all readers landing on that page won't wander away. Auto publish your feeds on Twitter - Traffic through social media is important. But to get that traffic you must share your own content online. But lack of time or attention may keep you from doing so. Using a FeedBurner tool that let you auto publish your feeds to twitter, you can check those "Oh! I forgot to tweet". Auto publish your Facebook page status on Twitter - Bonus point. You already have published you Feed on twitter. But you can tweet same thing a hundred time. Don't make your followers feel spammed. So lets add only one more auto tweet, by tweeting Facebook fan page update to twitter. Scheduling article - Let's say hypothetically you got a news, that was supposed to get published in tomorrow's news paper. Well, you had your Confidential sources. So, you can type your article today and schedule it to get published when you were fast asleep. It's better to be late then never. Similarly, you can also post article with past date. Auto Publish on Google+ - Blogger blog have this build in functionality. As soon as you publish an article on Blogger it gets posted as an update on your Google+ profile or Google+ page. Your call. Go to, Google+ tab in Blogger to set auto publish. Blogger allow users to get a custom domain name and set it very easily. But Blogger does not allow users to publish their blog on naked or non-www version of domain. So, after setting up custom domain you need to redirect from non-www to www version. When it comes to crawling and indexing, there are some major seach engine you must take care of. On top there is Google, then Bing, Yahoo, Baidu, Yandex, etc. Verification - Before you can do anything you need to tell Bing webmaster that you own the site. Bing Webmaster site verification process takes seconds. Indexing - To get indexed you are required to submit your sitemap to Bing Webmaster tool. NOTE - Submitting sitemap doesn't mean that you'll get indexed, sitemaps just help search engine in crawling. SEO Analyzer - A tool offered by Bing Webmaster that gives suggestion about how you can improve your page in terms of SEO. You are done with Bing. Now Yahoo, Yahoo uses Bing. So, you are done with Yahoo as soon as you are done with Bing. Fun stuff - Access robots.txt file of your blog. Robots.txt is used by robots to determine what should be accessed and what must be left. Russia have their own local search engine. So, you can also submit your site to Yandex. Just a fun thing to do. When going through other blogs, doesn't matter if they rank higher or lower you might want to know if the website runs on Blogger or on WordPress. There are other platforms too, by the way. Publishers who use Blogger use FeedBurner too. FeedBurner allows publishers to collect subscribers or regular reader. Every post that you will publish will get emailed to your subscriber's inbox. Get More subscribers - To subscribe a user has to input email address into your FeedBurner subscription form. So, place a beautiful FeedBurner subscription form on your blog. FeedBurner Branding - If you are using custom domain name on you Blogger blog, then you should also brand your feedburner with custom domain name. Custom new subscriber email - When a user puts email address and hit submit, they are never added to your subscribers list automatically. Instead, they will first receive an email to verify subscription. You can use FeedBurner customize verification email. Create eBook download system with download stats. But don't unnecessarily do it. Don't piss off your loyal readers who are wasting time in downloading your content. Let me tell you, the person downloading your eBook is a fan or is in need. Consumers want Windows OS, so laptop sellers (the middle mens) at store Format new out-of-the-box unit and install pirated version of Windows OS. You can track this, if your laptop is running on Windows and Windows sticker is not on your unit. Also, look for Ubuntu sticker on your system's body. So, if your system is packed with Ubuntu. There you need to know what apps blogger require on Ubuntu. Posted by Unknown | Sunday, August 17, 2014 | how-to-guide | ubuntu | Be first to comment! Newer versions of Ubuntu have perfectly handled the application search and access. Now, you only need to press that super key and type to search. So, the dash is just enough. In older versions, applications were accessed from classic menu. Some users still find it better for easily accessing applications and want classic menu back on Ubuntu. Using the above is completely user's choice some find it better others find it of no use. The layout and orientation is different from the original. But if you'll use it you'll get familiar in couple of hours. 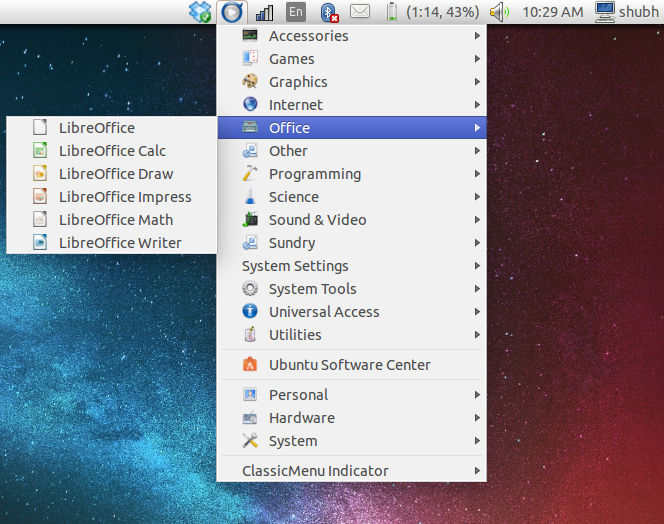 Go to software center and search for ClassicMenu Indicator, and Install it. Posted by Unknown | Friday, August 15, 2014 | how-to-guide | ubuntu | Be first to comment! PHP developers love Sublime Text. I have Sublime Text installed on Ubuntu. But Sublime Text is a text editor with modern features like code completion, syntax highlighting, etc. For bigger projects or when you have to meet deadlines, you are required to use some IDE to decrease development time. 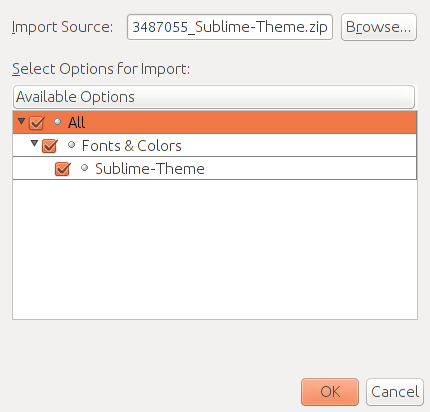 How to install Sublime Text theme on NetBeans IDE? Open NetBeans, go to Tools then Options, and then Import. Browse and select the downloaded .zip file. And hit OK. This will force your IDE to restart. After restart your theme will become active. NOTE - Systax Highlighting is only applicable for HTML, CSS, XML and PHP codes only. NetBeans IDE 7.0.1 is available on Ubuntu's Software Center. But the latest stable version online is 8.0. Also using the method below you are required to get programming language specific bundle only. If you are PHP developer, then why would you install IDE for Java or C or C++. Go to NetBeans official website and download the bundle required. There are 5 NetBeans bundle. NetBeans for Java SE, Java EE, C/C++, HTML5 & PHP, All (this package will support all individual bundles). The file downloaded will have a .sh extension. Right click on the file, select Properties. 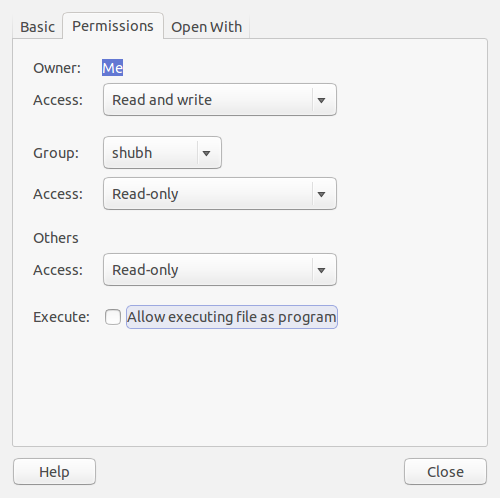 Check Allow executing file as program option. NOTE - In the above method, if Group has Read-only permission the above method won't work. As soon as you'll check it, it will automatically get unchecked. The program will also search for JVM on your system. It will also automatically install some updates while installing like Symphony framework, etc. I did only PHP bundle installation. Posted by Unknown | Monday, August 11, 2014 | Android | Be first to comment! The Google I/O last month led to the launch of a range of Android products. The preview of the next version of Android — Android L — was shown off. Also updates to the Google Chromecast were announced along with the introduction of Android TV. Then there’s Android Wear; spawning the next generation of smartwatches. We pretty much knew about most of these before the keynote, except for Android Auto. It’s a fact that people now spend a considerable amount of time in their cars. The car population has been on a rise and can be expected to grow consistently. 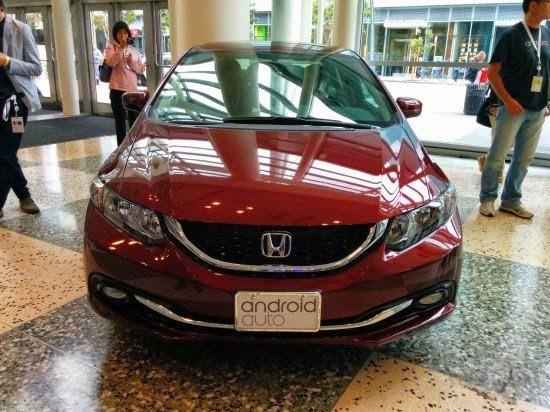 Android Auto has been introduced by Google to bring the Android experience to the car. What Android Auto does is provide a receiver that will display your Android phone on it. Just like the Chromecast made your TV smarter, Google plans to do the same to your car with Android Auto. 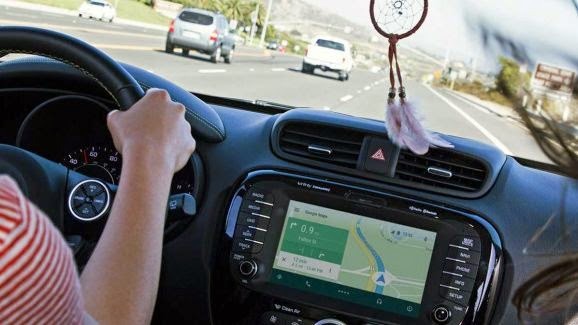 The software for Android Auto will run from the phone and will be displayed on the dashboard of the car. From what Google demoed at the I/O, it is certain that it’ll do navigation, play your music etc. But come to think of it most existing car infotainment systems already do that. The “Ok Google” functionality is new you’d say, well not really. Some car have voice input available but it might not be as good as Google is. The point I’m trying to make here is that Android Auto is not doing anything extraordinary compared to what currently exists in the market. I was expecting more from Google, you simple can’t sell a dumb unit with a car that needs a phone to run the whole damn thing. A couple of questions come to mind when I think about this. What if I don’t want to connect my phone to the head unit, will it be useless without it? Will it play FM Radio or music from a flash drive if I want it to? What if I have an Apple iPhone 5s? Do I need to change my buying decision just so that the system is compatible with my phone? If you still manage to get the car you want with Android Auto, the experience still could’ve been better. Google has not made any information public about integrated on-board diagnostics, the OBD-II (On Board Diagnostics) port is become standard on all cars since 1996. Google could use it to make Android Auto better. Imagine the experience where the Android Auto console could show details about the car. Diagnose problem on the go and since its connected to your phone anyway maybe send it to the manufacturer. Maybe book an appointment for a maintenance check with a dealer. The possibilities are endless, these updates might come in later after a while who knows. 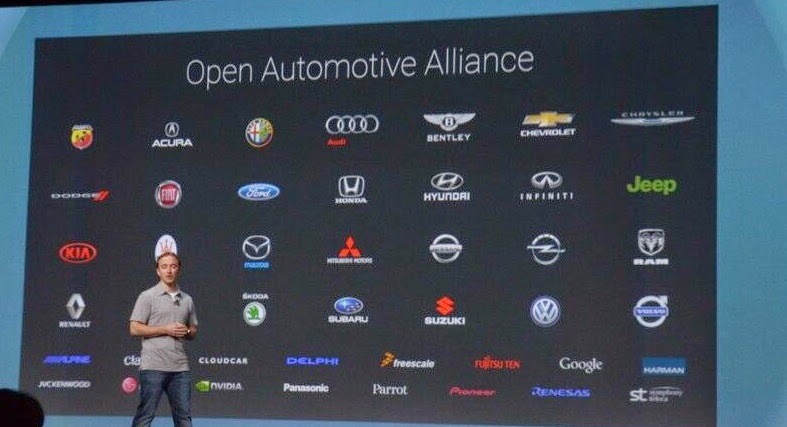 Google has a good concept in hand and the list of manufacturers in the Automotive Alliance is impressive. There are also aftermarket system providers who are part of the Alliance so you expect some Android Auto enabled head units finding their way in older cars. A management graduate, passionate about gadgets and automobiles. Likes to be up to date about the latest things in the tech industry. An avid Android user who Lives to Drive. Follow me on twitter @adishenoy. Posted by Unknown | Saturday, August 09, 2014 | java | ubuntu | Be first to comment! When setting up JDK 8 or any other version in Windows platform you are required to set PATH environment variable manually. In case of Ubuntu, you can skip that step and everything will work jut fine. Oracle JDK 8 stable version was released on 18th of March, 2014. To check the version of Java. just check the version of java tool. To get a complete set of options just type java in terminal and hit enter. How to switch to JDK 7? What if OpenJDK is also installed? No, need to worry. After installing JDK 8 via ppa, it will get set as default. But, if openJDK is installed then, while trying to switch back to JDK 7, the above command will not work. Posted by Unknown | Saturday, August 09, 2014 | facebook | Be first to comment! Fans, users, new customer, etc want to contact you. Some users have their contact on business cards or on their websites, but not all. A lot of users, pick emails and other data from Facebook profile. Just to keep an option open. Moreover, you can control which email to show to which user. This will help you, and you won't get work related emails on your personal email account and vice versa. You can also select which email to put on your timeline. How to make your social profile and email public? Navigate to About tab, then to Contact and Basic Info. Hit edit button in Email, Website, Screen Names. In Email, you should add all of your email contacts. But visibility of each email can be altered individualy. 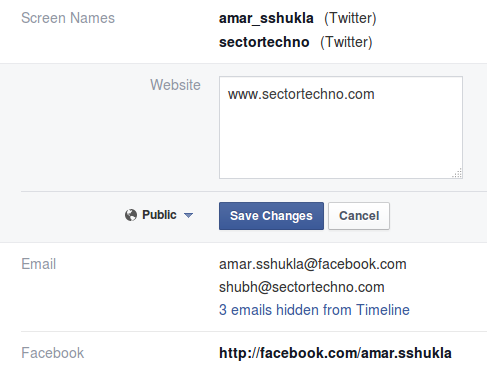 Furthermore, in email you can choose whether to show emails on Facebook timeline or not. You have any story to share like your YouTube video or channel, gadget, Windows, Mac or Ubuntu app. Use contact form to submit the link or any description. How to record better quality sound without buying expensive microphones? Posted by Unknown | Tuesday, August 05, 2014 | Blogging | Be first to comment! Screencast are broken into modules. Improve each module and you'll get high quality screencast video. To record screencast a number of screencast software are available, like Camtasia, Kazam for Linux, etc. These will help you in creating HD video in various format like avi, mp4, etc. When it comes to recording sound you need a microphone. Inbuilt microphones of laptops, they pick up vibrations from system's fan and also from table, etc. How to record better quality audio? 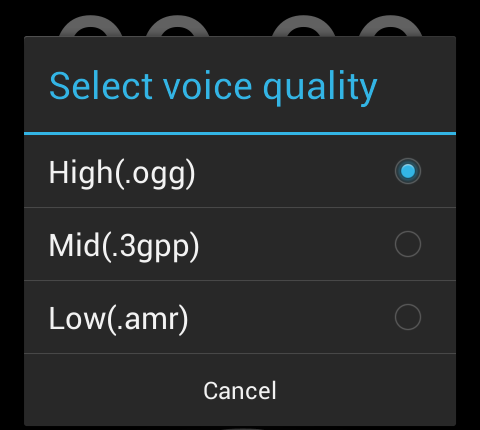 From menu select Voice Quality. Just an experiment, play any song on loud speaker and record in High, Mid and Low voice quality. 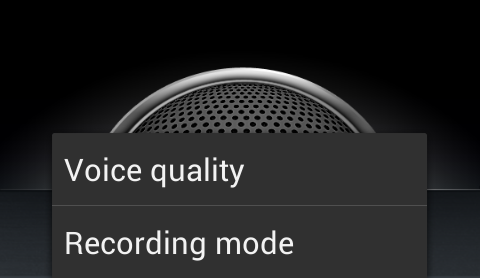 Now, playback the recorded sound to notice the difference. After recording, open the file with audio editing software like Audacity to make any necessary changes. One of the main edits will include noise reduction. Now, export the sound in format like mp3, etc. Use this exported audio in your video maker. Noise reduction is a little bit challenging because noise may vary according to your location and conditions. There are different type of noise. The above video will explain you the concept. Rest is practise. Now, get ready for better quality screencast. One more tip, before making screencast longer than 30 seconds, first create a word document and write whatever you have to speak. Then use a parallel screen or printout this will make video shorter.